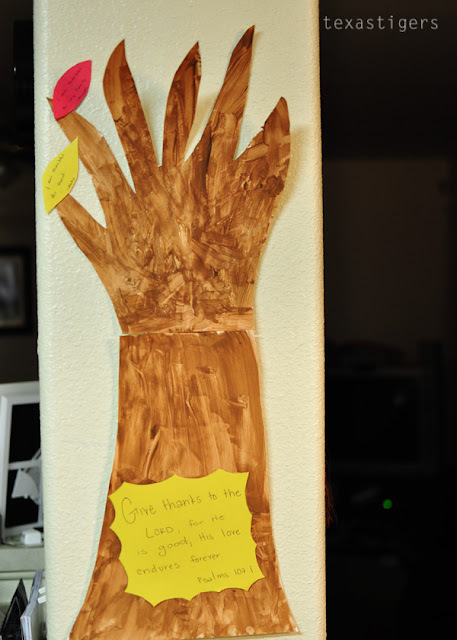 My friend Heather made this Thankful Tree with her girls and I couldn't help but think what a wonderful idea it was! 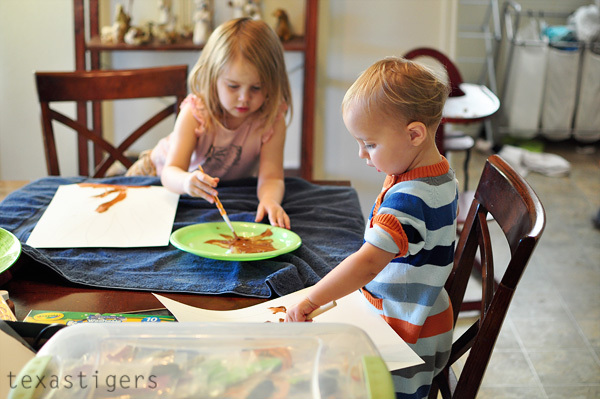 So we totally had to do this craft! I drew a tree out (the best I could - I'm not the greatest artist! That was proven by the fact that it took Beau three guesses to decide on what he thought we made and even then he wasn't sure) on two pieces of poster board since the pieces I had were smaller. Then Abby and Micah each got a section to paint. Micah had the trunk and Abby had the branches so that she could practice staying more in the lines. 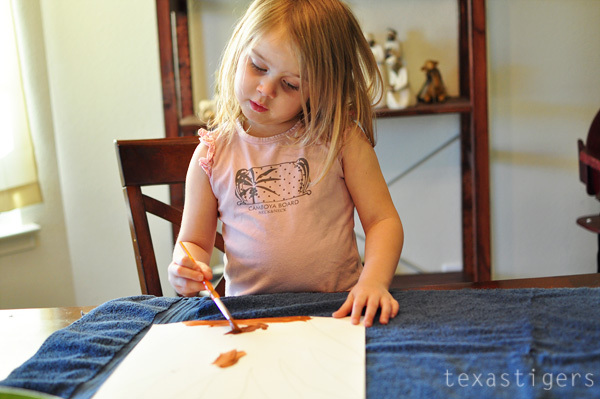 Abby did a terrific job and really took her painting seriously! 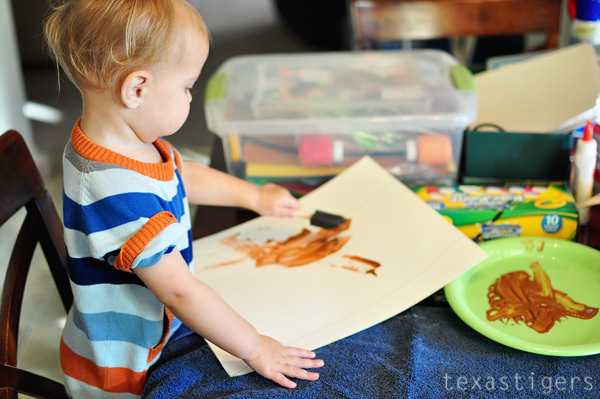 Micah also loved to paint. More so he loved to get more paint on his brush. 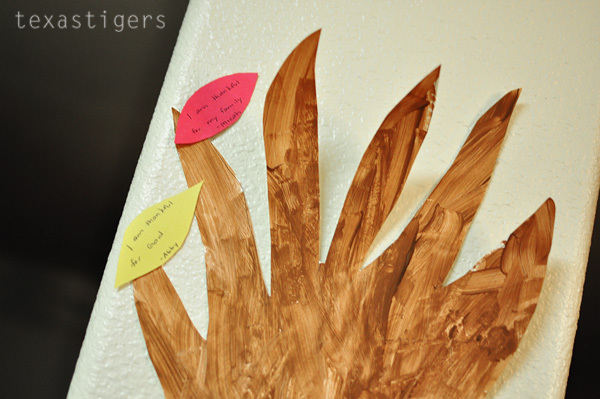 Once the paint was dry I cut out the tree and added this verse that Heather used onto our tree. 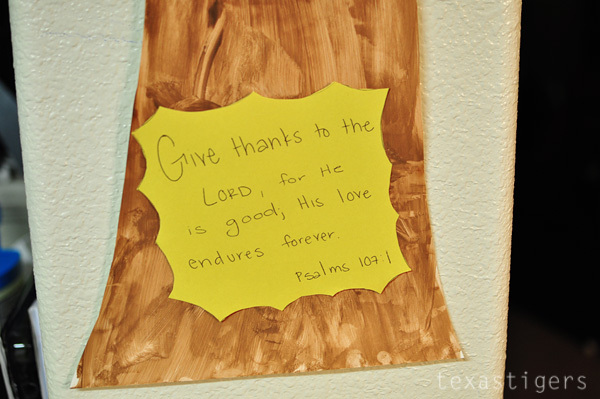 "Give thanks to the Lord, for He is good; His love endures forever." Psalms 107:1 It's a perfect fit for the craft and a wonderful verse to have in our daily lives! While the tree was drying we had cut out some leaves and we wrote on the leaves something we were thankful for. Abby said for her leaf "I am thankful for God" I'm so impressed she said that all by herself. Then since Micah isn't quite old enough to grasp the concept and say a phrase he is thankful for Abby and I talked about what else we could be thankful for and what Micah might be thankful for. So for Micah's leaf it says "I am thankful for my family." I hung it on the wall in the kitchen and we'll try and add leaves each day leading up to thanksgiving. Thanks Heather for the wonderful craft idea!